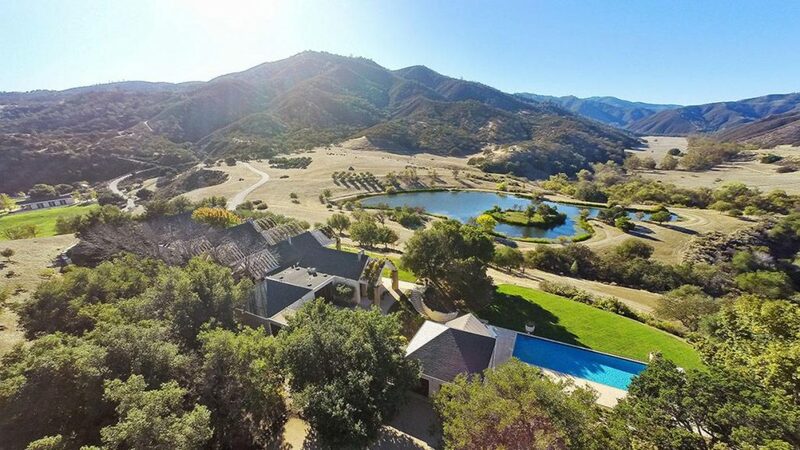 Just south of Silicon Valley and east of Carmel, one of the premier equestrian ranch properties in the country covers more than 10,000 acres of the pristine San Benito Valley. 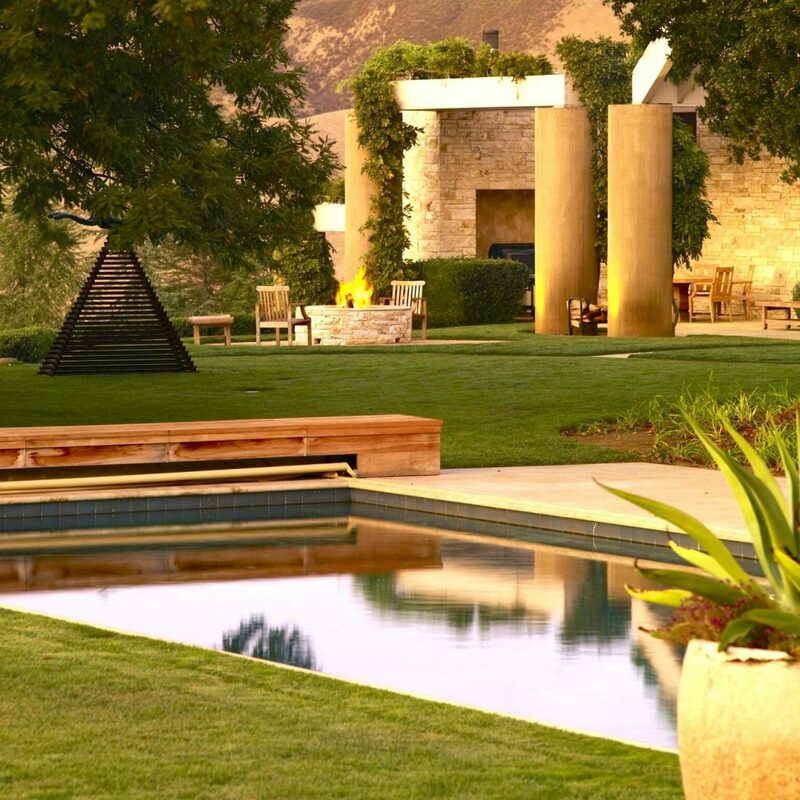 Developed by internationally renowned entrepreneur George Roberts (KKR) and designed by noted San Francisco architect Ugo Sap, this transcendent retreat was created for both upscale entertaining and quiet connection with nature. The land holds potential for vineyards, olive groves, and more. Set atop a prominent ridge and commanding panoramic views of the surrounding valley, the 7,900-plus-square-foot main residence takes full advantage of 360-degree vistas of mountains, hills, two lakes, and a river. Massive windows frame the views everywhere. From the light-filled central foyer, the expansive minimalist spaces flow through the living room, study, formal and informal dining areas, library, wine cellar, and large master suite with two baths. 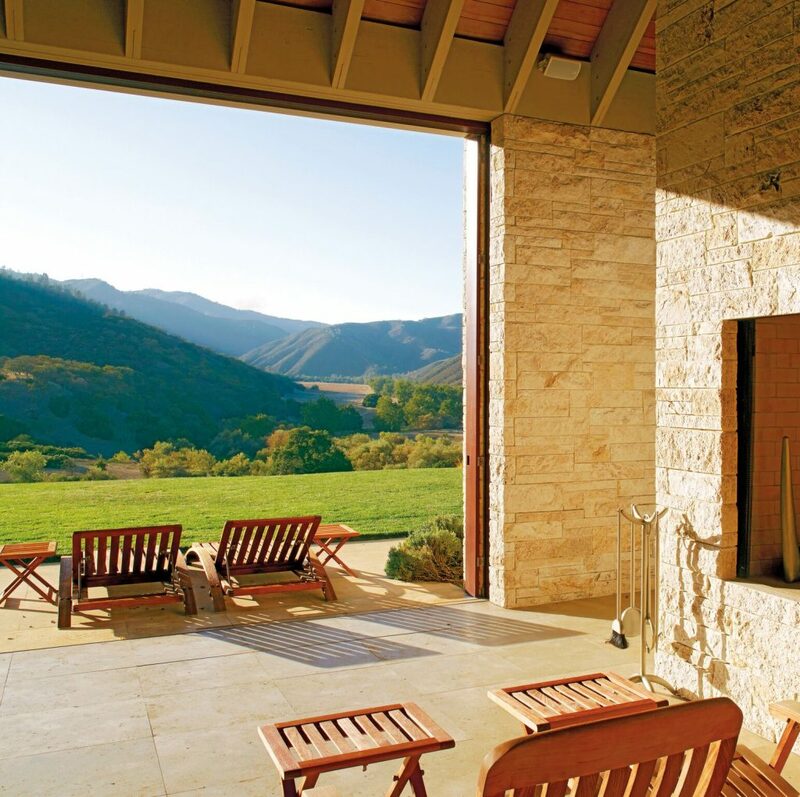 The adjacent guest quarters occupy over 4,500 square feet and feature a patio with built-in barbecue and limestone floors. They include three separate guest suites with private entrances. All four homes are enriched by imported materials from around the world, including French slate roof tiles, Italian limestone flooring, and Alaskan cedar trellises. 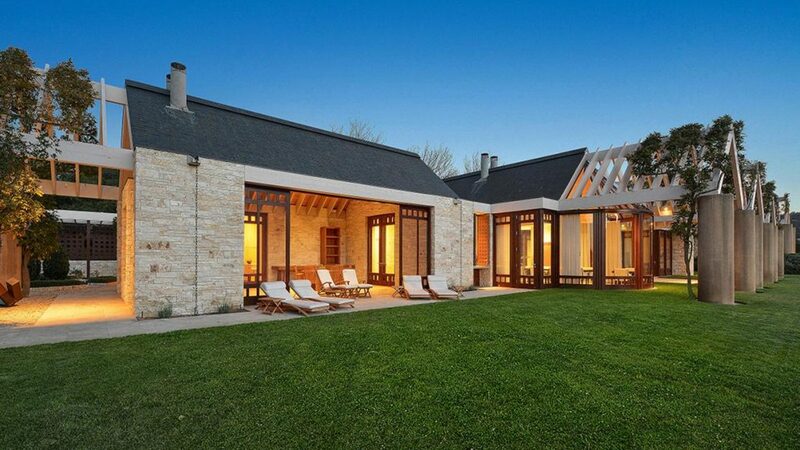 Vaulted ceilings, stone fireplaces, and custom floor-to-ceiling windows enhance the rich ambience. A large pool with a pool house, a tennis court, and landscaped gardens complete the residential grounds. Three single-family residences elsewhere on the vast property could house a ranch caretaker and staff. 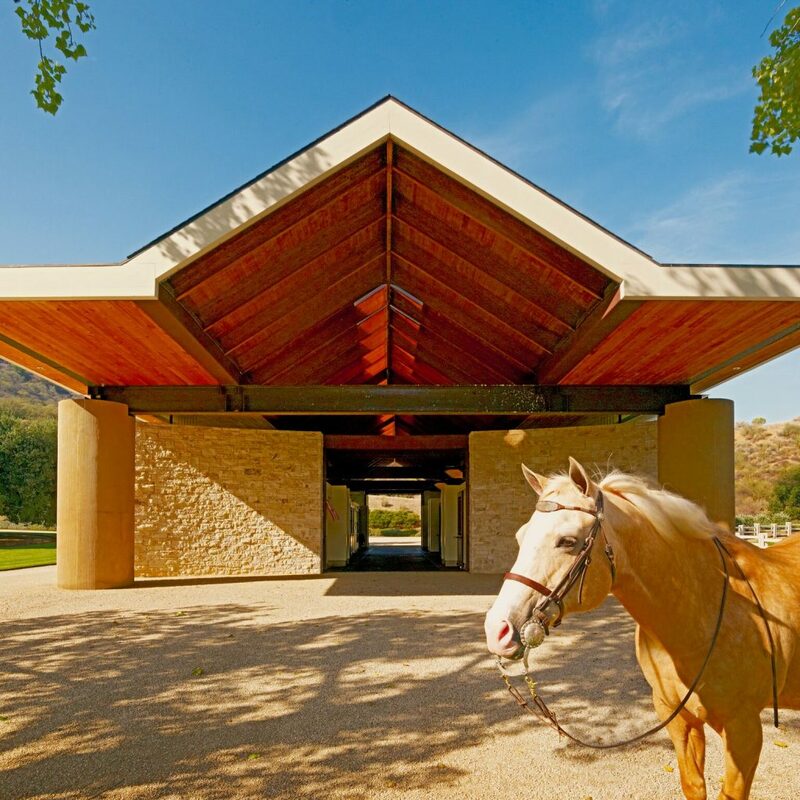 The spectacular state-of-the-art equestrian facilities include two riding arenas, two training arenas, five separate horse stables, and a hay barn, all built to the highest standards of function, beauty, and craftsmanship. The magnificent spread is offered by Steven Mavromihalis at $26,500,000.